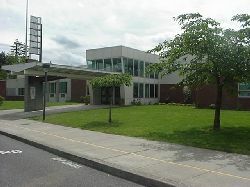 Bryant Elementary serves students in grades K-6 and is located on the south side of Lake Oswego. Located next door to Waluga Junior High School, Bryant is an “all-walking” school, meaning all students live close enough to walk to school and no bus transportation is required. This contributes to the community feeling at Bryant. With curriculum and instruction that focuses on building strong foundation skills, Bryant has a high-achieving student population that thrives in the caring and supportive environment created by its highly qualified staff. 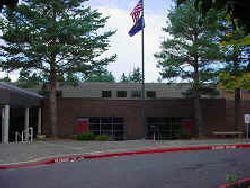 Forest Hills Elementary serves students in grades K-6 and is located on the north side of Lake Oswego. Located in the historic First Addition neighborhood, Forest Hills is a charming neighborhood school with a long tradition of strong community support. With curriculum and instruction that focuses on building strong foundation skills, Forest Hills has a high-achieving student population that thrives in the caring and supportive environment created by its highly qualified staff. 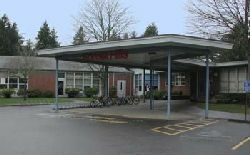 Hallinan Elementary serves students in grades K-6 and is located on the south side of Lake Oswego. 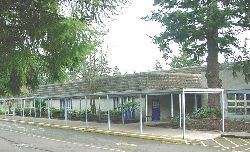 Built in 1980, Hallinan is a relatively newer school serving the Hallinan and Glenmorrie neighborhoods in the southeast corner of Lake Oswego. With curriculum and instruction that focuses on building strong foundation skills, Forest Hills has a high-achieving student population that thrives in the caring and supportive environment created by its highly qualified staff. 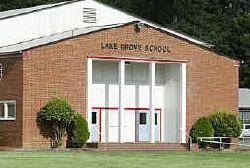 Lake Grove Elementary serves students in grades K-6 and is located on the north side of Lake Oswego. The oldest school site in the district, Lake Grove has been rebuilt and remodeled over the years, while retaining its historic character and neighborhood appeal. With curriculum and instruction that focuses on building strong foundation skills, Lake Grove has a high-achieving student population that thrives in the caring and supportive environment created by its highly qualified staff. 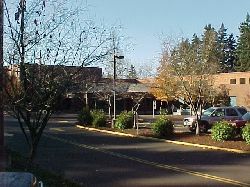 Oak Creek Elementary serves students in grades K-6 and is located on the north side of Lake Oswego. The newest school in the district, Oak Creek was built in 1990 and serves the Westlake neighborhood. All students at Oak Creek live close enough to walk to school. With curriculum and instruction that focuses on building strong foundation skills, Oak Creek has a high-achieving student population that thrives in the caring and supportive environment created by its highly qualified staff. Palisades Elementary serves students in grades K-6 and is located on the south side of Lake Oswego. Serving the Palisades neighborhood above Oswego Lake, Palisades Elementary is a small neighborhood school with strong community support. With curriculum and instruction that focuses on building strong foundation skills, Palisades has a high-achieving student population that thrives in the caring and supportive environment created by its highly qualified staff. River Grove Elementary serves students in grades K-6 and is located on the south side of Lake Oswego. Serving the southwest corner of Lake Oswego and Rivergrove, River Grove Elementary is a small neighborhood school that is the center of its community. With curriculum and instruction that focuses on building strong foundation skills, River Grove has a high-achieving student population that thrives in the caring and supportive environment created by its highly qualified staff. 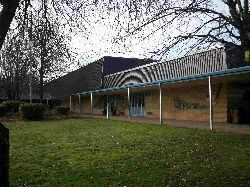 Uplands Elementary serves students in grades K-6 and is located on the north side of Lake Oswego. Located next door to Lake Oswego Junior High School, Uplands is a long-established neighborhood school with strong ties to its community. With curriculum and instruction that focuses on building strong foundation skills, Uplands has a high-achieving student population that thrives in the caring and supportive environment created by its highly qualified staff. Westridge Elementary serves students in grades K-6 and is located on the south side of Lake Oswego. A relatively newer school, Westridge was built in 1980 and is a small neighborhood school that enjoys strong community support. With curriculum and instruction that focuses on building strong foundation skills, Westridge has a high-achieving student population that thrives in the caring and supportive environment created by its highly qualified staff. Information and photos graciously provided by Lake Oswego School District.